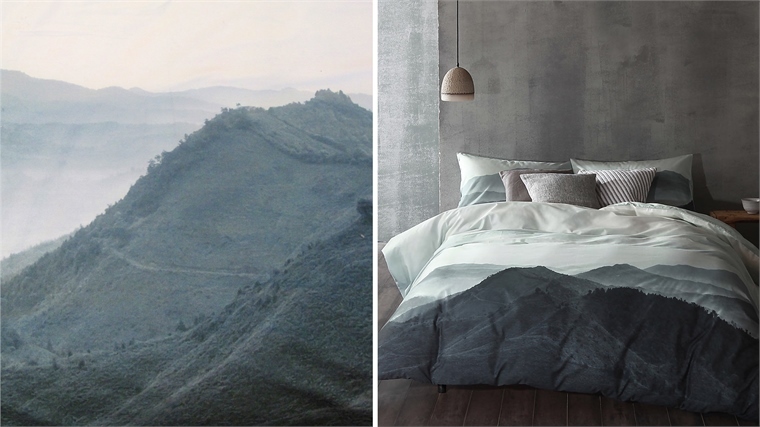 Hong Kong-based bed linen brand Cloth & Clay made its debut at home textile trade show Heimtextil last week (January 9-12) with a range of premium bedding and accessories designed by a global team of artists. Cloth & Clay stood out among the stands with its distinctive and stylish Nordic Nights collection, which draws inspiration from the serenity and beauty of the Nordic landscape. In calming pale and dark shades of grey and green, it explores mountain ranges, forestry and geometrics interpreted into prints and embroidery. 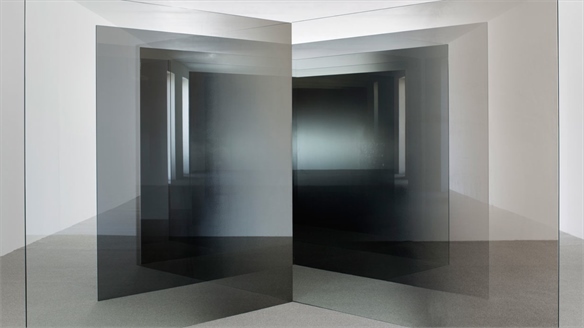 Other collections feature imagery captured by artists in Cambodia, Tasmania and the UK. Subtle use of graduating shades and fine cotton and linen materials provide a soothing and comfortable atmosphere in the bedroom. Look to our Serenity S/S 2017 colour concept for further examples of designers using soothing palettes to create quiet and serene environments that allow us time to rest and reflect. 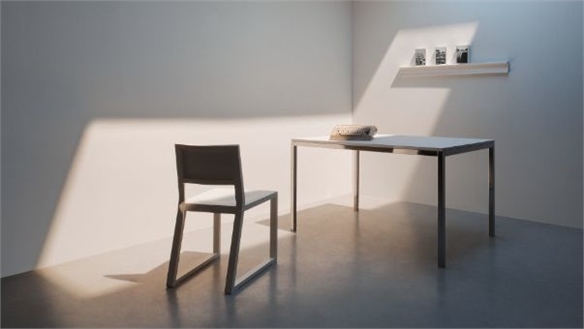 Serenity and silence are also set to be key themes at international interior trade show Maison & Objet, which returns to Paris this week (January 20-24). See Preview: Maison & Objet 2017 for more. Cloth & Clay will exhibit at Ambiente 2017 (February 10-14). 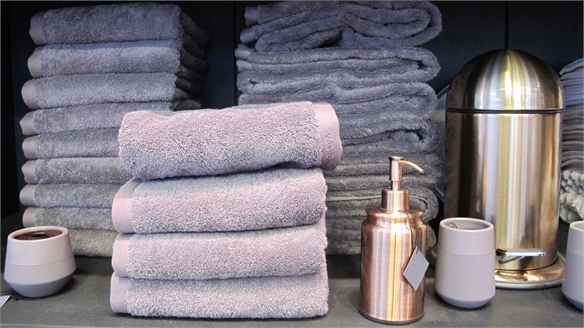 Products are currently available through the brand’s website and via UK retailer John Lewis. 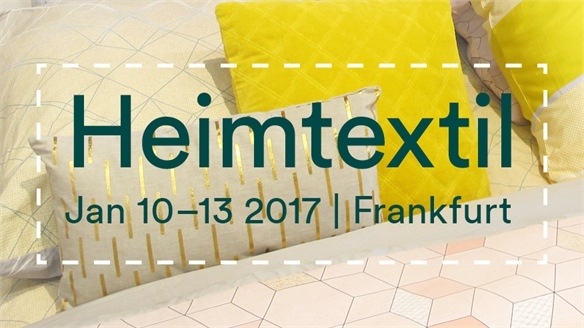 Check back for our full coverage of Heimtextil 2017, publishing on January 24. 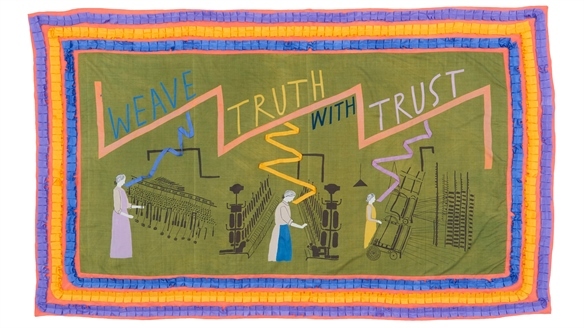 Colourful Exhibition Celebrates Folk Textiles Exhibition Celebrates Folk Textiles A new exhibition by London-based artist and textile designer Caitlin Hinshelwood presents a series of strikingly coloured textile banners inspired by the folk practices of the UK’s historic weaving communities. Best Of: Graduate Textiles 2017 Best Of: Graduate Textiles 2017 We scoured the UK graduate shows for the most innovative use of colour and materials, and the freshest talent. 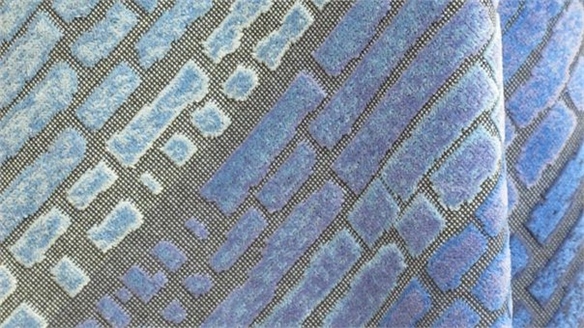 Here’s our edit of the emerging textile designers to watch. 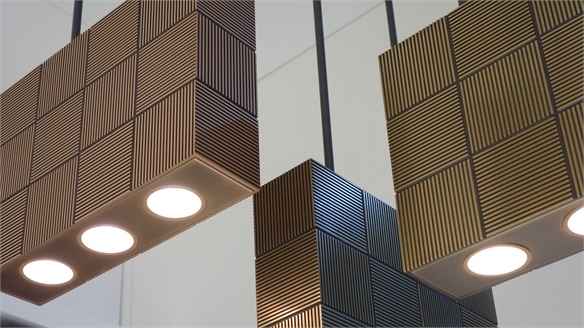 Maison & Objet Paris: January 2017 Maison & Objet Paris: January 2017 Our series of reports from January's edition of Maison & Objet highlights the latest trends and brands to watch within lifestyle, colour, materials, interior textiles and kids' toys and product. Heimtextil 2017 Heimtextil 2017 Frankfurt's leading home textiles trade fair Heimtextil offers insight into global trends emerging within the bed, bath and accessories sectors. 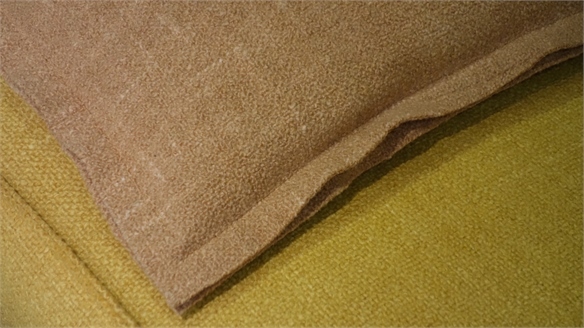 Our two reports highlight the latest brands to watch, as well as key colour, material and pattern directions. 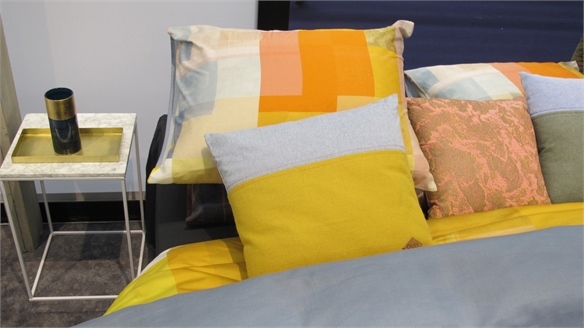 Heimtextil 2017: Editor's Picks Heimtextil 2017: Editor's Picks Across the show, aesthetics varied from relaxed and refined, to creative and colourful, with bedding offering the most eye-catching and diverse designs. We showcase the standout brands and products at Heimtextil this season. Heimtextil 2017: Colour, Pattern & Technique Heimtextil 2017: Colour & Pattern Colour at Heimtextil ranged from vivid and colourful to muted and minimal. 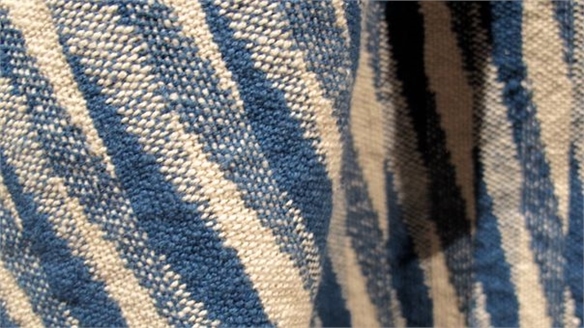 Linen prevailed as an essential material, while geometrics and sartorial checks dominated patterned products. We round up the fundamental directions. 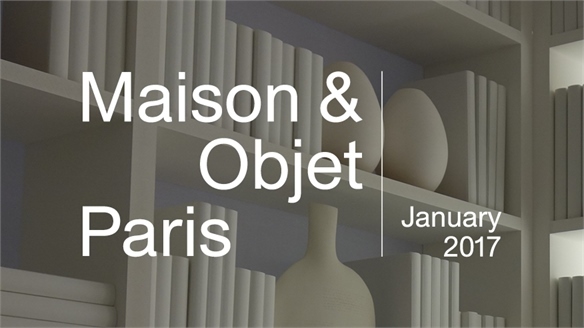 Preview: Maison & Objet January 2017 Preview: Maison & Objet Jan 2017 Dedicated to interior design, the biannual international trade show Maison & Objet returns this month in Paris. 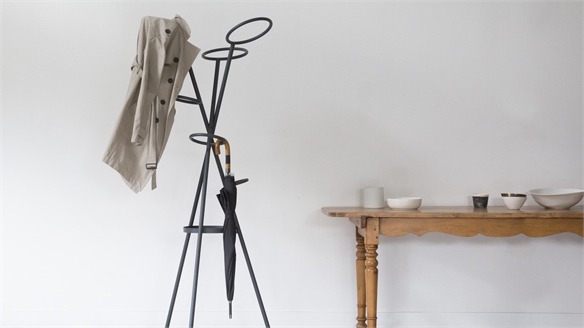 Giving centre stage to French design, the event also presents the calm home as an inspirational space. M&O Sept 2016: Colour & Materials M&O Sept 2016: Colour & Materials We round up the new colour and material directions emerging at Maison & Objet and support this with go-to processing techniques, finishes and textures that will be impacting the industry. 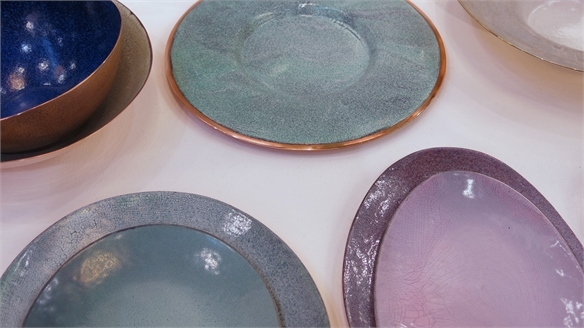 This season natural colour gained in importance and finishing techniques for metal were diverse, even within single products, which provided greater variety for customers with increasingly individual tastes. M&O Sept 2016: Textiles & Kids M&O Sept 2016: Textiles & Kids We round up the new kids' product and interior textile directions that emerged at Maison & Objet. 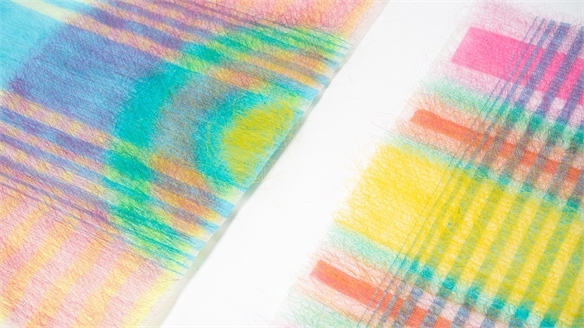 Multifunctional textiles and products with built-in adaptability directed the trends, while colour, material and finish exhibited a more nuanced sensibility in children's toys and furniture. Serenity S/S 17: Visual Update Serenity S/S 17: Visual Update Our Colour Spectrum S/S 17 rationale Serenity emulates serene spaces using contemporary techniques to capture the essence of nature and harness it in precise and restrained forms. Here, we offer inspiring visuals influenced by our luxurious and meditative palette. 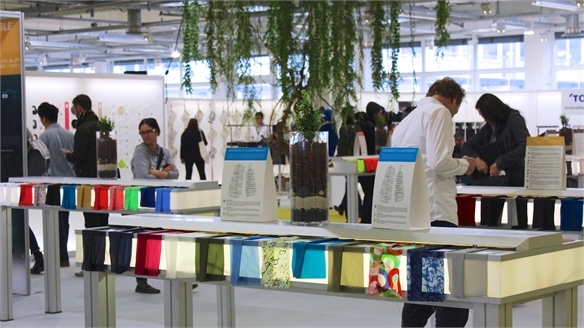 Heimtextil 2015 Heimtextil 2015 Frankfurt’s leading home textiles trade show Heimtextil offers an insight into the key global trends emerging within the bed, bath and accessories sectors. This year signalled a new season of optimism with bold, directional collections. Heimtextil 2014 Heimtextil 2014 Frankfurt’s leading home textile trade show Heimtextil gives an international perspective on the major trends emerging from the bed, bath and textile accessories sectors.